2019 appears to have started where 2018 left off: investor demand remains strong with good quality assets continuing to command competitive demand across the office and industrial sectors. Pricing remains robust with a number of November/December deals being agreed at prices significantly above asking prices, with purchasers from a range of sectors including institutions, local authorities, property companies and private investors. Although there is currently political turmoil over the terms of the UK’s withdrawal from the EU, the evidence suggests that at present only a small proportion of investors are suspending activity until there is more clarity and consequently the majority of prime assets are still generating strong demand when they are brought to the market. This situation may be subject to further change depending on events in Westminster, however, for the time being, the commercial property investment market is operating under generally positive overall sentiment and for these reasons the outlook for the UK commercial property investment market over the next three months remains Fair, although some economic headwinds could apply pressure to move towards Unsettled. While it is too early for any 2019 data to be published, CBRE’s Monthly Index for December broadly reflects positive performances for both the office and industrial sectors. However poor performance in the retail sector saw All Property returns for the month fall by 0.1%, with negative capital growth of -0.5% and negative rental value growth of -0.1%. On a sector by sector basis, industrial once again stands out as the best performer, with a total month on month (mom) return of 1.4% (capital growth up 1% mom and rental value growth up 0.3% mom). Offices performed reasonably well with 0.7% total return mom (capital growth up 0.3% mom and rental value growth up 0.2% mom), but this performance was subdued by London markets which saw a fall in capital values across Central London, City and West End of between -0.4% and -1.2%, reflecting a cooling in the London office markets. The biggest casualty is the retail sector, the performance of which has been pulled down by capital value falls for Retail Warehouses (-2.6%) and Shopping Centres (-2.5%). Overall the sector has witnessed month on month falls in Total Return (-1.7%), capital value growth (-2.2%) and rental value growth (-0.6%) while yields have moved out by 10bps. These most recent figures suggest that the downward trend for the retail sector is accelerating. While the London office markets are also suffering from a general decline, the rest of UK office market and the industrial sectors continue to perform very well, the latter in particular as demand for industrial continues to be strong, driven in part by the requirements of logistics operators to fulfil the demand from the increase in online shopping. Occupier demand remains the core driver which is providing investors with confidence for both the industrial and office sectors, with the industrial side benefitting from the shift away from high street to internet retailing, in addition to its traditional occupational markets. Notwithstanding the forthcoming departure from the EU, agents are reporting that occupier demand is holding up, and this is reflected in investor appetite for stock in these sectors, albeit with some participants using political uncertainty as a reason to pause their buying programmes. Although some investors are not active at the present time, which has led to some previously agreed sales falling through, Blue Marble is starting to see some opportunities presented off market with less competition and a greater focus on deliverability by the purchaser. The Blue Marble Barometer is a quarterly forecast of the UK commercial property investment market based on current data and the direct market experience of Blue Marble Asset Management in acquiring, disposing of, and managing commercial and mixed use properties across the UK on behalf of its clients. The next Barometer will be published in Spring 2019. 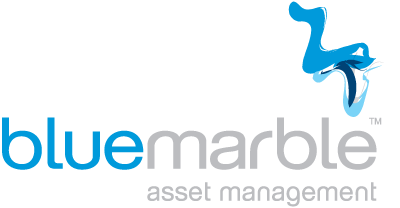 Based in Birmingham, Blue Marble Asset Management is a real estate asset management specialist which presently has more than £100 million of property assets under management. It works for a select range of clients including investment businesses, high net worth individuals, trusts and family offices. Its business is based on taking a holistic view of each of its property investments.